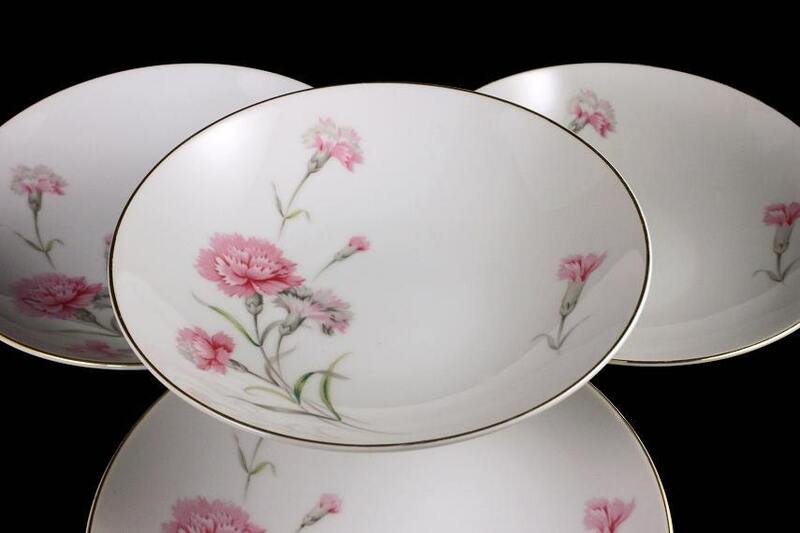 These are beautiful coupe soup bowls. 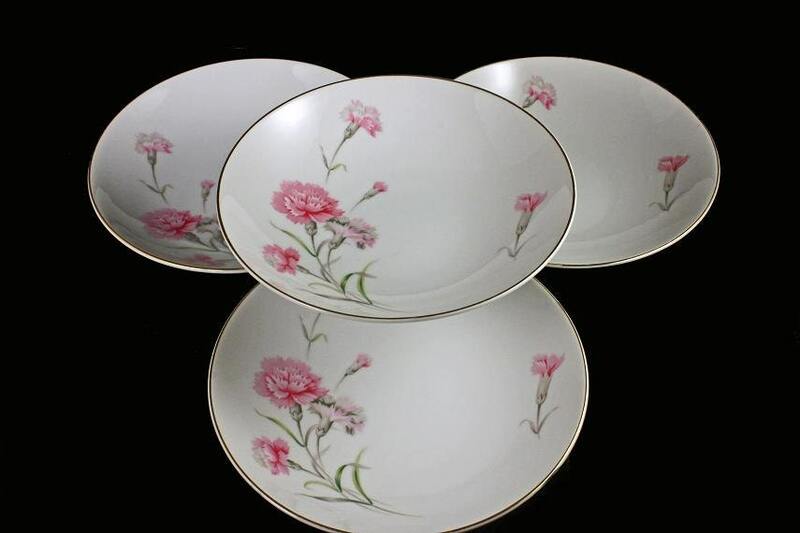 They are made by Royal Court China in the Carnation pattern. 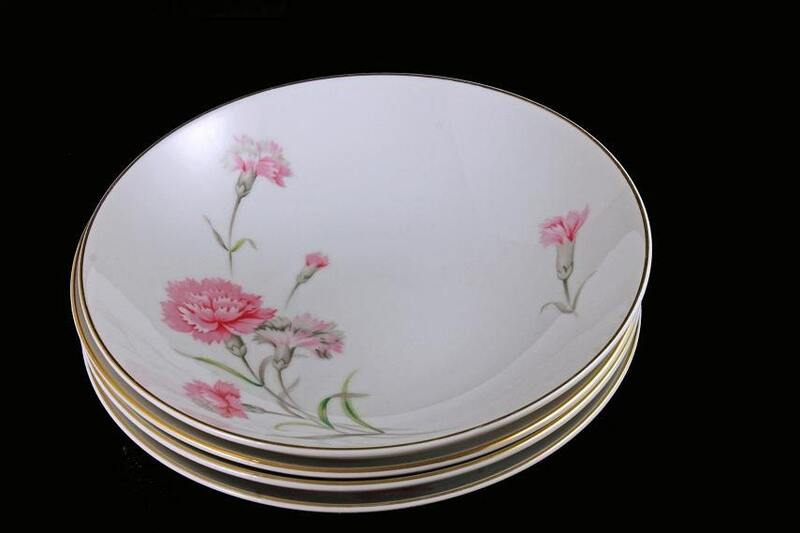 The pattern is of a bouquet of pink carnations on one side and a small lone one on the lower right side. 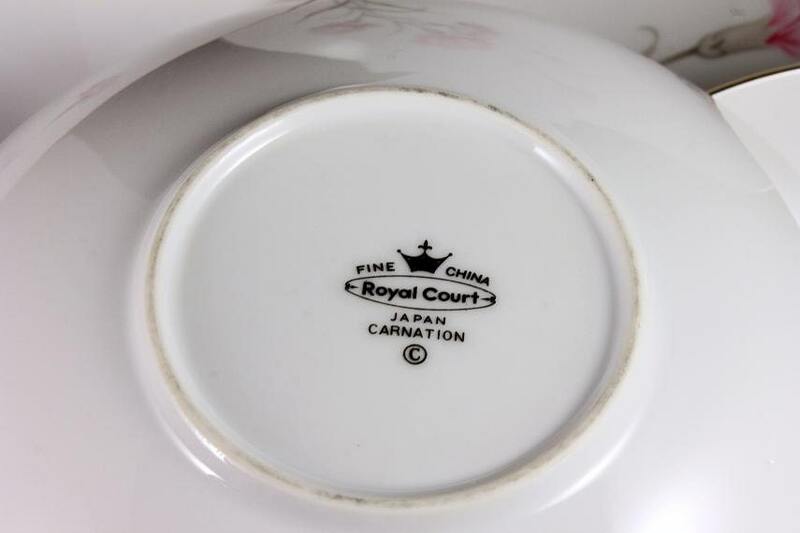 This listing is for a set of four bowls. 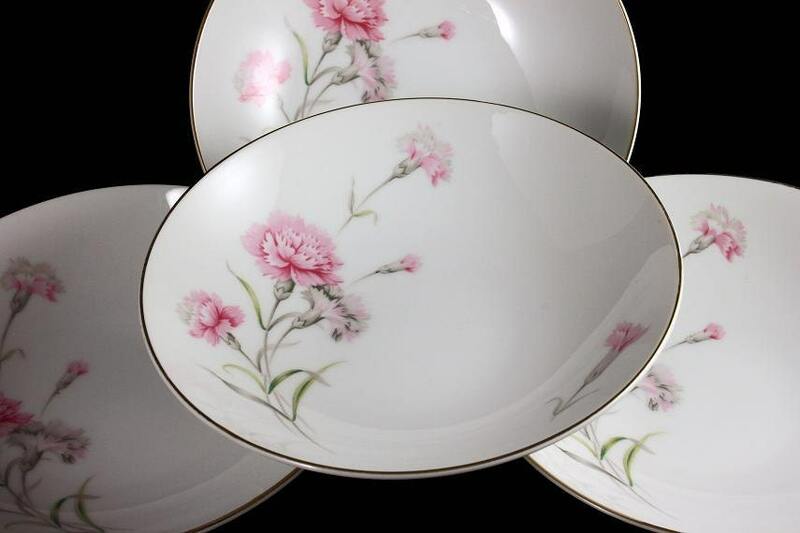 These are wonderful dishes that will brighten a buffet table or make a dinner table statement. An elegant and versatile set with the grace from a bygone age. Size: 7 inches in diameter. These bowls would make a great wedding shower, wedding, hostess, or housewarming gift. Treat yourself to these and entertain in style. As these are vintage bowls they are in great condition. There are no chips, cracks, mars, or crazing. The gold rims do show some wear.